Exam mark sheets: help or hindrance? It’s that time of the year again – exam season, when teachers and students everywhere are awaiting the results of their practical exams. All exam candidates receive a mark sheet which includes brief commentaries on and marks for their pieces, technical work (scales, arpeggios and exercises), aural tests, sight-reading etc. At the bottom of the sheet is the most important number: the total number of marks gained which will indicate a Pass, Merit or Distinction. Mark sheets are useful, but there is some debate amongst my teaching friends and colleagues as to how useful they are. I think it’s important to bear in mind that examiners are limited by time and space to write detailed commentaries. I used to photocopy the mark sheets and give them to my students, but now I extract the most useful and positive comments and discuss these with each student individually. I believe students should receive positive messages from examiners and teachers, so I tend to keep the negative comments back or rephrase them so that the student understands where marks might have been gained or lost. Often comments reinforce areas which have come up in lessons or highlight aspects which require further or more detailed study, and can be applied to new repertoire. Trinity exams divide the marking for the pieces into three sections which I find far more helpful – Fluency & Accuracy, Technical Facility and Communication & Expression. Occasionally I have read a mark sheet which seems unnecessarily negative while the student has actually scored a good mark, or which to bear no resemblance at all to the student I know and teach. And sometimes, the examiner’s handwriting is simply impossible to decipher! In all cases, I think it is important to remember that an exam is just a snapshot of the student’s attainment, at that time, and that as teachers we should know our students well – their strengths and weaknesses, musical tastes, confidence etc. I know plenty of teachers who do not enter their students for graded exams for this very reason, but in my experience, most students, especially children, enjoy the challenge of working towards an exam or assessment and are always proud of the smart certificates they receive. And for both student and teacher, exams can be useful for benchmarking and assessing progress. As teachers, we owe it to our students to judge when is the best time for them to enter for an exam and to structure their learning to ensure they are well-prepared. 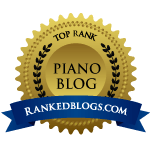 Previous postWhy go on a piano course?